Planning a wedding is stressful enough, so for many couples, considering how they would handle the financial fallout of a split is hardly on their minds ahead of the big day. But that might be changing. With a growing number of international marriages has also come an increase in the prevalence of prenuptial agreements, say some lawyers who specialise in matrimonial law. A prenuptial agreement or ‘pre-nup’ is a legally binding contract which can outline how finances and possessions would be split and handled if a couple divorce. In some countries, these agreements have existed for hundreds of years while in others, they’re relatively new. In addition to protecting each partner’s assets, these agreements can be designed to protect family money, companies or real estate. “One reason for a pre-nup is to create clarity and protection of wealth and assets — clarity, that is to have a clear arrangement on how the family partnership will operate,” said Jeremy Morley, an international divorce lawyer based in New York. Morley said pre-nup discussions can open the door to how couples expect to run their financial affairs during their marriage. “All over the world, people don’t talk about money, but it’s very hard to predict the future and how relationships will change,” he added. Without a pre-nup, the courts will decide how marital assets are divided after a split according to a country’s laws. “Pre-nups are insurance policies against high lawyer fees,” said Randy Kessler, partner at Kessler & Solomiany, a law firm in Atlanta. In Kessler’s opinion it is unlikely that the other side will spend a lot of money if a pre-nup exists. But before entering into a pre-nup, spouses need to consider which assets they want to protect or the financial support they would need to maintain their current lifestyle if they were to separate from their partner. Agreements can also include sunset provisions that will make the pre-nup invalid after a certain period of time. And married couples can even enter into a post-nuptial agreement after they are married that acts in a similar way to a pre-nup. 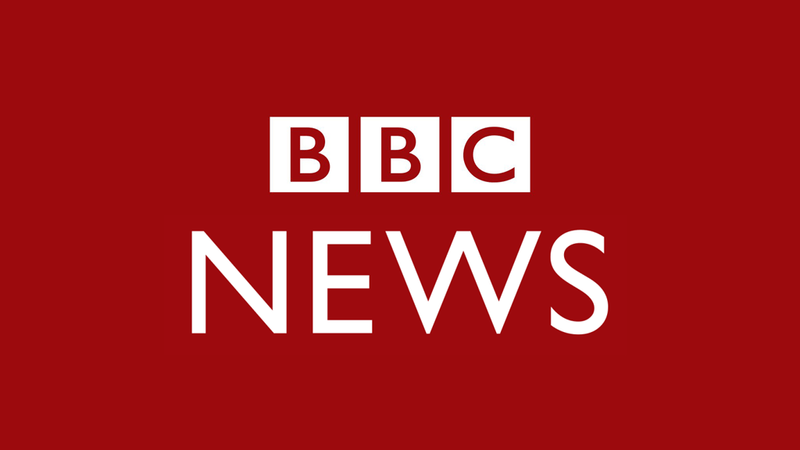 BBC Capital spoke to family law lawyers in the United Arab Emirates, France, Germany, Japan and the US for more information about how these agreements work around the world. Scroll through the images above to see the ins-and-outs of pre-ups in those countries. Only UAE nationals, or Emiratis, marry under UAE law. The country follows Sharia law, and this is outlined in the Quran. In 2012, according to the UAE National Bureau of Statistics, 8,753 or 59% of the 14,934 marriages were between nationals, while 2,351 or 60% of the 3,901 divorces were between Emirati couples. For every 3.7 Emirati marriages that year, there was one divorce. The marriage contract under Sharia law is already a type of a pre-nuptial agreement. It starts with the Mahar (dowry), which has two parts: an accelerated dowry is paid upfront at the time of the marriage to cover any wedding expenses and a late dowry is paid at divorce or following the husband’s death. To encourage Emiratis to marry other Emiratis, the late Sheikh Zayed bin Sultan Al Nahyan, the former UAE president, set a limit on dowries to prevent Emirati grooms from slipping into debt. Currently, the accelerated Mahar cannot exceed AED 20,000 ($5,445) and the late Mahar has an AED 30,000 ($8,168) limit — a total of AED 50,000 ($13,613). Since currency tends to lose value, many brides ask for this money in gold. The husband would have to prove that his wife caused him harm by neglecting him, by spending too much money or by going out too much, for example. A UAE woman is able to leave a marriage voluntarily and obtain a Khula. But without being able to prove harm, she would have to give up everything, including wealth and children, and repay her husband for everything he had bought for her during the marriage, Hamade said. Child custody and support is not addressed in the marital contract — but these are very detailed in the law and are not left to the judge’s discretion. Often, when there are children involved, a woman will usually maintain custody and manage the children’s day-to-day activities, and from her ex-husband, she will receive an apartment and child support payments. Non-Muslim expats who marry in the UAE will often draft pre-nups that follow the laws of their homeland. Most Japanese couples don’t divorce through the courts. The procedure, called kyōgi rikon, is very administrative. Couples who agree to divorce instead file registration documents with a local municipal office. Pre-nups are very rare in Japan because couples rely on the country’s detailed civil code to determine how to divide their assets. Marriage in Japan is on the decline while the number of divorces has held steady for the past decade. In 2011, there were about 662,000 marriages and about 236,000 divorces, according to the Japanese Ministry of Health, Labour and Welfare — or one divorce for every 2.8 marriages that year. In a divorce, all assets that were acquired during the marriage, excluding any assets earned prior to the marriage, or any inheritances or gifts, are divided between each spouse. Japanese law doesn’t provide for spousal support. Pre-nups are more popular in marriages between a Japanese citizen and an international person. These marriages tend to be more complicated. The couple’s assets could be spread throughout several different countries, and the couple may decide to stay in Japan or move to another country in the future. Although the agreement addresses the division of assets and spousal support, it does not address issues regarding children, like custody matters and child support. Child support is determined by the civil code, but is rarely paid and it is difficult to enforce payment. To date, there hasn’t been a case that tested pre-nups in Japan. “It’s very unusual for court cases in Japan to be tested,” said Morley. “The pre-nup agreement would give more certainty."